Although fine lines and wrinkles are a part of the natural aging process, they can make you appear older than you actually are. Dr. Elsa Raskin offers BOTOX Cosmetic injections at her Greenwich, CT, practice to address these cosmetic concerns. This nonsurgical cosmetic treatment is approved by the FDA for cosmetic wrinkle reduction and is a quick, safe, and affordable alternative to surgery that can help improve your overall appearance. BOTOX Cosmetic injections are FDA approved for cosmetic wrinkle reduction, and work by immobilizing the facial muscles that cause lines and furrows, especially around the eyes and forehead. BOTOX Cosmetic is a nonsurgical cosmetic treatment that uses injections to relax muscles and smooth fine lines and wrinkles on the forehead and around the mouth and eyes. 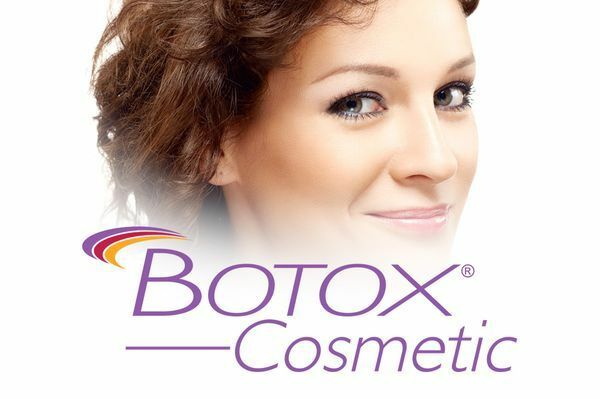 BOTOX Cosmetic was approved by the FDA in 2002 and has become a popular treatment to combat the common signs of aging, such as laugh lines and crow's feet. BOTOX Cosmetic injections temporarily inhibit repetitive muscle movements that cause these lines and wrinkles. BOTOX Cosmetic is a good treatment option for anyone looking for an effective and timely solution to create a more youthful appearance. For those patients who would like a more dramatic transformation, Dr. Raskin can perform a full facelift. To qualify for this procedure, it is important that you are over 18 years old, in good overall physical health, not pregnant or nursing, and do not have a neuromuscular disorder. Dr. Raskin is a skilled and highly trained plastic surgeon who has been delivering excellent results in the Greenwich area for more than 15 years. She will use a small needle to inject BOTOX Cosmetic under the skin into the muscles around your eyes, forehead, or mouth to reduce minor to moderate wrinkles. In most cases, Dr. Raskin can administer the injection in as little as 15 minutes, and you can return to daily activities immediately. For more pronounced wrinkles, we can provide dermal fillers, such as JUVÉDERM® and Radiesse®. BOTOX Cosmetic is a nonsurgical cosmetic treatment that uses injections to relax muscles and smooth fine lines and wrinkles on the forehead and around the mouth and eyes. BOTOX Cosmetic requires minimal recovery time and is a proven, safe, and cost-effective method for rejuvenating your appearance. Results can be seen in two to three days and can last approximately three to four months. To maintain your results, we recommend routine follow-up appointments. Although the side effects of BOTOX Cosmetic are minimal, it is possible to experience some temporary redness, bruising, swelling, and numbness at the injection site for the first few days. In rare cases, patients may experience headaches and asymmetry, such as drooping eyelids. Your risks are likely to be minimal when you choose a qualified and experienced doctor like Dr. Raskin. BOTOX Cosmetic is an effective treatment option for temporary reduction of fine lines and wrinkles. Many patients choose to receive these injections before a special event, such as a wedding or class reunion. If you are interested in rejuvenating your appearance with this popular cosmetic treatment, call our office at 203-861-6620 or contact us to schedule your consultation with Dr. Raskin.